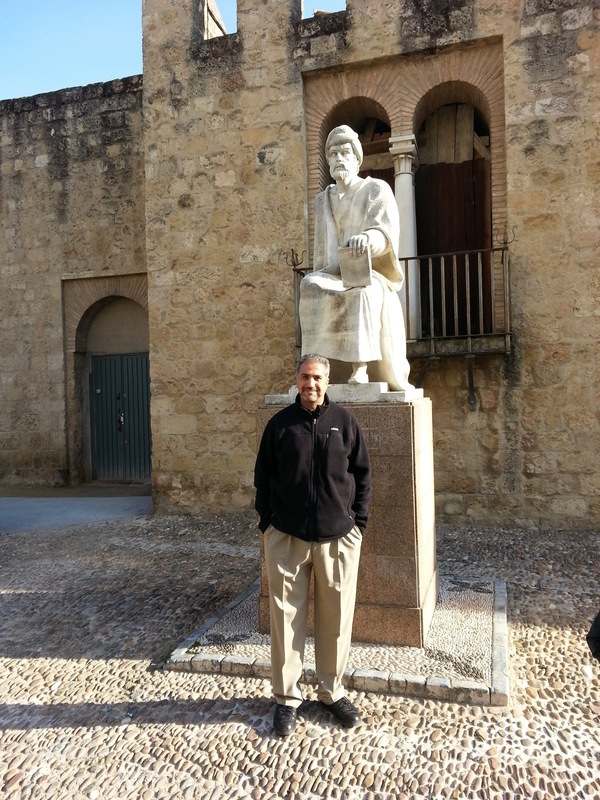 Mohammad Fadel and others have lamented the quality of intellectual discourse in the Arab and Islamic worlds today. 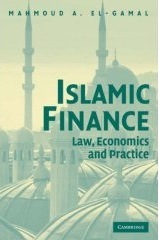 Indeed, it is impossible for a Muslim who is trained in economics or legal studies not to feel a terrible pain reading contemporary discourses on "Islamic economics", "Islamic finance" or "the Shari`a". Such writings expose terrible misunderstanding of economics (e.g. equating "riba" with "interest"), as well as terrible misunderstanding of Islamic law (completely ignoring the objectives enshrined in the Canonical texts and the fact that classical Islamic jurisprudence borrowed copiously from Roman and Sassanid legal traditions). Of course, there are few exceptions, but they are very few in comparison to the volume of low quality work being produced on those topics. One may wonder why current writings on Islamic law, economics and finance generally lack rigor and intellect. Where are the Shafi`is, Shatibis, or even Sanhuris of the current era? Yes, of course, we have the likes of Ahmad Al-Raysuni (read his comments on Al-Shari`a w al-Hayah last week), but even his writings have focused on the past arguments of Al-Shatibi and earlier scholars of Usul, with minimal original content that integrates advances in modern scholarship. Why is that? And how did we get that brief period in the early twentieth century that gave rise to the likes of `Abdul-Razzaq al-Sanhuri, `Abdul-Wahhab Khallaf, Muhammad abu Zahra, and the younger generation in al-Qaradawi, Mustafa al-Zarqa, etc.? In early Twentieth Century Egypt, the study of law was briefly elevated to the same level of those high-paying fields... yielding Saad Zaghloul on the political front, and the names I mentioned in Islamic legal scholarship. The first generation of Khallaf and Abu Zahra, Shaltout etc. made fundamental contributions that could have elevated Muslim societies to modernity. The second generation (al-Qaradawi, al-Zarqa, etc.) was quite respectable, but not as good as the first. And the current young generation is extremely depressing in terms of schoalrship (I am not including western writers like Tariq Ramadan, Khaled Abou El Fadl, etc., who remain outside the mainstream for Muslim minds worldwide). You can see the same trend in Pakistan by following a particular family that has been bequeathing ifta from one generation to the next: The grandfather grand-mufti was a first-rate scholar (of the generation of Abu Zahra, etc.). His sons are respectable scholars, but no match for their father's scholarship, and the grand-children merely advertise the family name and recount their parents' opinions (without the capability of following the simplest legal arguments). Interestingly, later generations of jurists earn incomes that are many orders of magnitude higher than their parents' and their grandparents'. One would think that such financial incentives would have encouraged them to seek a real education, and would have attracted some intelligent people to the field, rather than leaving it to those whose academic abilities would not allow them admission to the areas of medicine, engineering, etc. Of course, higher financial compensations have invited some "jurists" with street-smarts -- who were mainly trained as economists (which is unfortunately another field that generally does not attract the brightest in Islamic societies). Also, higher financial rewards have prompted the older generation to protect the "family business" from more talented competitors who are not their offspring. Perhaps the problem is merely one of inertia. While many Muslims show reverence to jurists (who continue to wear interesting costumes, including furry hats -- appropriate for the icy mountains of central Asia -- in the scorching heat of Karachi or Houston, or sunny desert garb in the icy London winter-time), they would hate for their own children to go into the field of Islamic legal studies. I have yet to meet an Arab or Pakistani cardiologist who agonized over whether his straight-A student should become a cardiologist or a jurist (or even an economist)!! Perhaps it is the stigma driven by the intellectual ineptitude of contemporary jurists, together with their anachronistic language and garb, that make their profession a symbol of the past, to be revered in religious moments when one feels charitable with one's money and time -- but secretly despised for not keeping up with modern developments. Until significant numbers of intelligent Muslims decide that Islamic and legal studies are respectable fields (rather than the areas you get into if your high school grades do not qualify you to join the prestige fields of medicine, etc. ), we will continue to live in this vicious circle: (1) Jurists are revered simply as symbols of the sacred, (2) those jurists' lack of intellectual abilities reinforces the view that their pronouncements rest upon sacred authority rather than logical proof, and (3) young Muslims who possess intellectual abilities will refuse to seek careers in this field. Then, maybe in two or three generations, we may have a literature in Islamic studies that can give rise to meaningful areas of "Islamic economics", "Islamic finance", etc. For now, it is best not to demean the name of Islam by attaching the term "Islamic" to the stupid creations of our contemporary minds. I would also include the likes of the International Islamic University in Malaysia as something promising (especially when you look at the writings of the likes of Kamali and others from there). But the problem is that they dont have much inertia in the Middle East. Though i have heard from other friends that they are well recieved in al-Azhar if any go there for study. I have noticed with my experience as a convert, that Muslims in general are very cliquey, which is something rather depressing regarding scholarly developments and such. I have no idea what really can be done about it... i look at the likes of Sherman Jackson and other professional academics, and wonder why there does not seem to be more of them known or active worldwide. Qaradawi and the others you mentioned are getting older, and i wonder what will happen as time moves on. It is really a bad situation - and in my mind is one of the reasons why such extreme literal rhetoric has captured the hearts and minds of so many Muslim youth today. One of these guys is parading as having a Phd from Karachi University in "Islamic Economics". A major which does not exist, at a department that has no Phd program nor any Phd's on their faculty. I don't like turning such issues personal. It is possible to have a dissertation in one field, where the official degree is in a more general field. I happen also to know a person in the U.S. who was an external reader on the dissertation committee you mentioned, so I do not doubt that he obtained a PhD. My concern is not with degrees or individuals, but with degree of learning and intellectual capacity (for which a PhD is neither necessary nor sufficient, depending on the institution and the field). I think one of the problems in our culture is that criticizing an argument, or an approach is immediately turned into a personal issue. That increases the difficulty of criticising others, and allows the cult of personalities, families and cliques to replace a culture of learning. With regards to the earlier comment on IIUM, I agree that the potential is definitely there, and I do recognize Prof. Kamali's wonderful contributions on derivatves, etc. However, as you correctly point out also, those jurists have not been able to break through to other Muslim scholars, and I was very disappointed in recent years to see Malaysia engage in reverse innovation to make their products more appealing to Arab and Pakistani jurists, who continue to dominate international fiqh academies. I can agree with you totally, the stagnancy in the islamic World, (the arab section of that in particular) is appalling. It seems as if we are crawling out of the Islamic dark ages. In the not so far off past - when i was trying to get a topic approved for my thesis- I was made to be interviewed by a staff member of the Fiqh Dept in my university. When trying to describe my topic we came to the point of financial institutions, which at this point the staff member said "You mean a bank" I said "no i mean a financial intermediary other than a bank, an agency for clearing transactions and etc etc" He said "So you mean a bank" I said NO (you can see where this is going) in the end he said "well then i will have to advise that this topic goes no further, there are only banks in this world; central or private"
when peoples minds are so small as to not believe in anything that they have never heard of, nor are they willing to learn anything new, its no wonder that the Ummah is in the state it is in. The issue of form vs function is central to many of these problems, and thats in more than Islamic finance. There are many reasons for this desparate situation, beginning with our general lack of respect for learning except insofar as it clearly leads to wealth, power or prestige. This, I believe, is a direct result of (i) underdevelopment and (ii) authoritarian political structures. In any case, any society which conceives itself as having ethical commitments is bound to destroy itself if it loses interest in theoretical questions and turns only to "practical" subjects. Thus, we see Muslims willing to use the latest "gadgets" but unwilling to consider the ethical and epestimological bases of contemporary society. More generally, the authoritarian political culture of Muslim countries discourages investments in human capital, since in the end, you are better off investing in contacts rather than skills. The same must be true in the religious establishment . . .